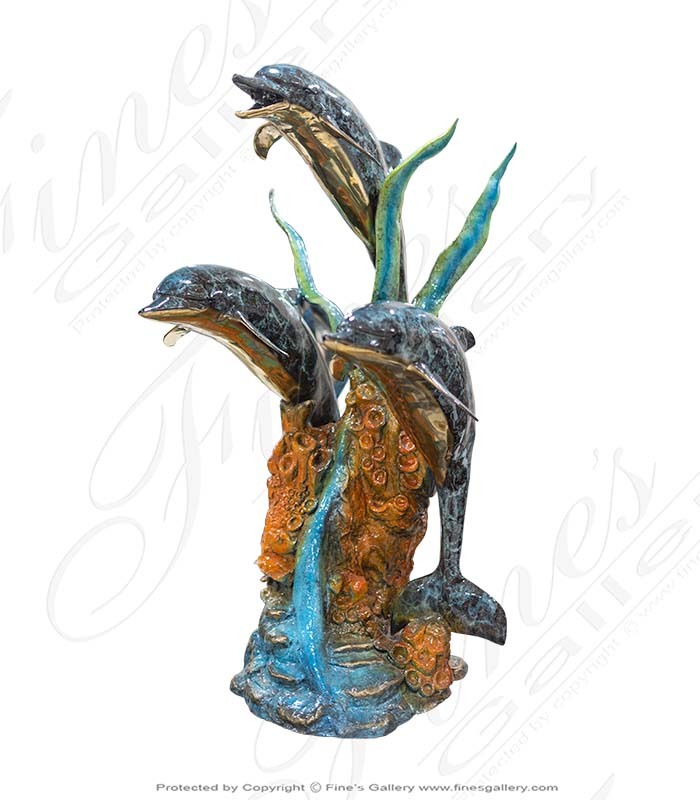 Two brilliant blue bronze dolphins spout water. 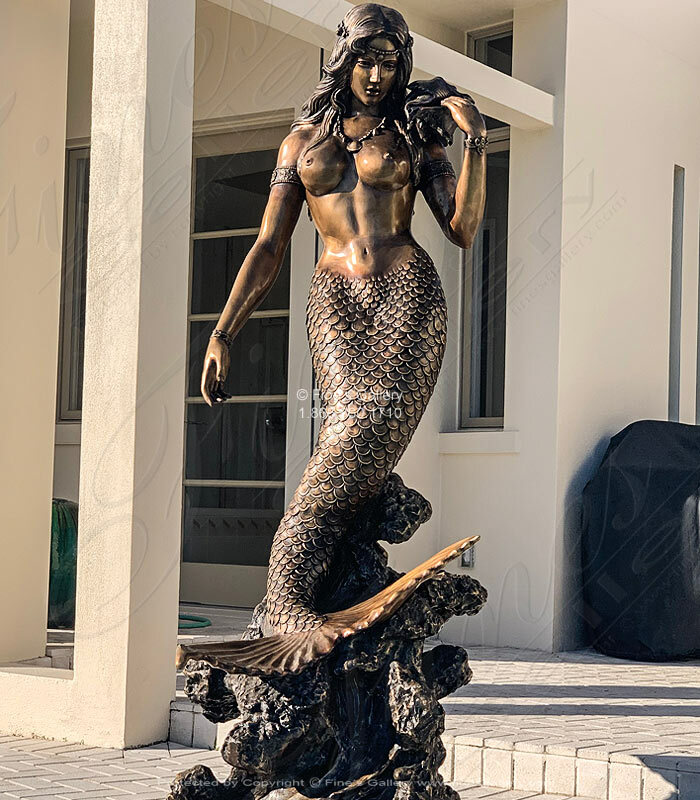 Makes a statement near your swimming pool or fountain feature. 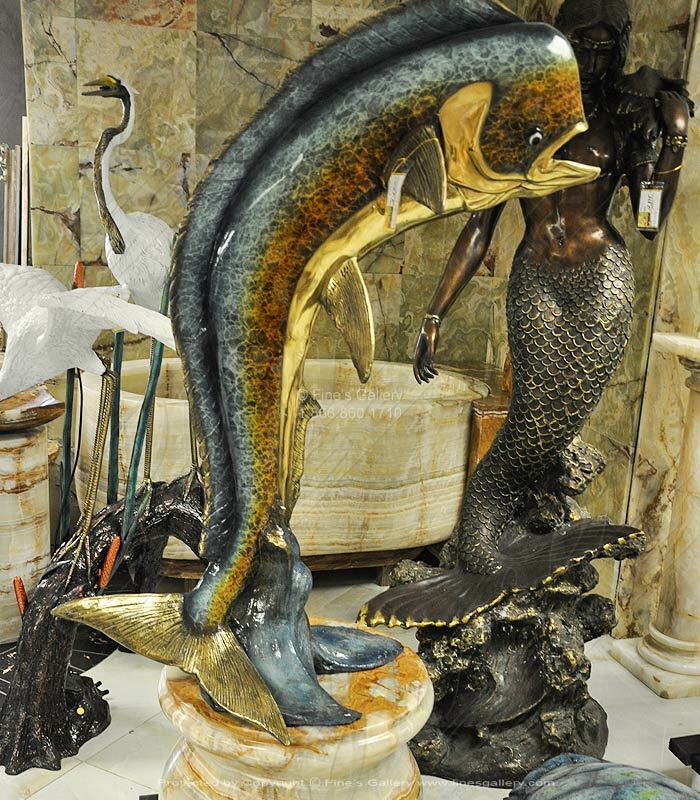 This colorful bronze mahi mahi fountain is sized at just over four feet in height. Translucent Onyx Bases available sold separately. 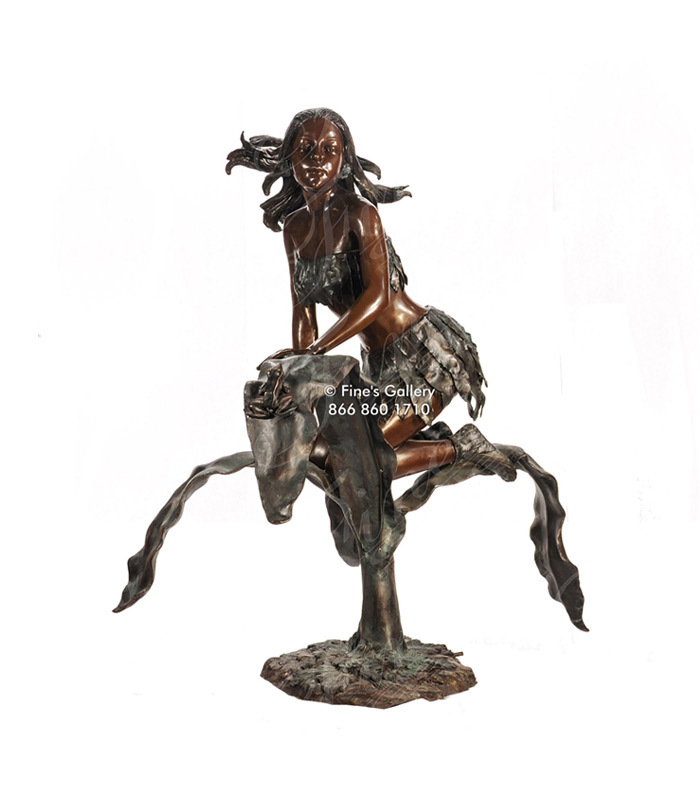 Dark and light contrasting bronzes portray a lovely scene handmoldedinto this delicate fountain. 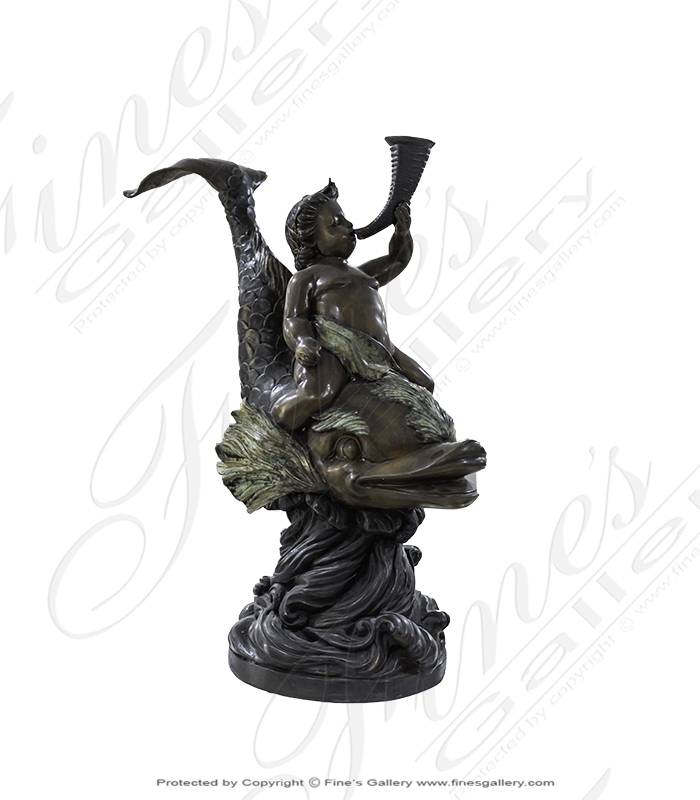 Featuring cherub, birds, and fruit for spectacular artistic decor. Granite Pool sold separately. 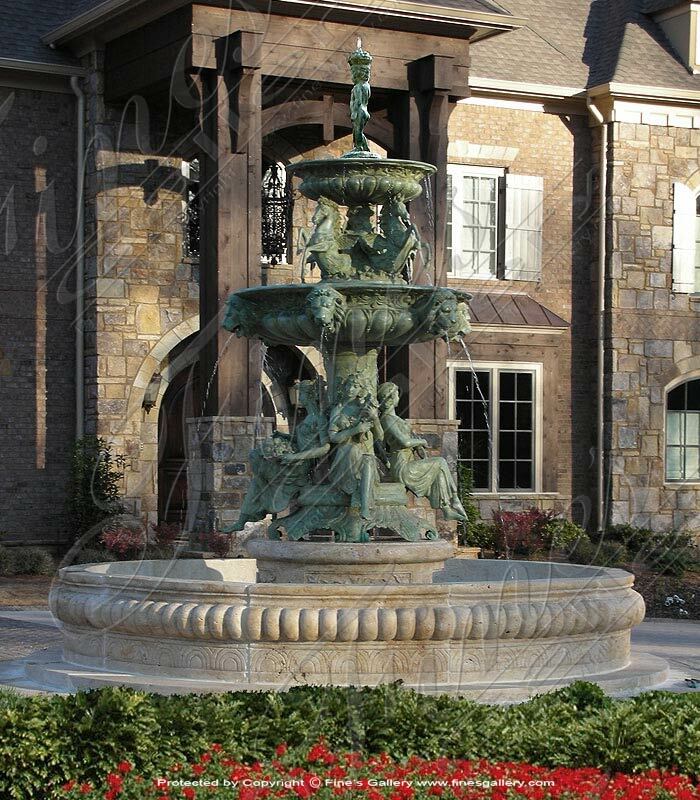 The Grandeur Two Tier Bronze Fountain Greco Roman style is cast in Patina Bronze. 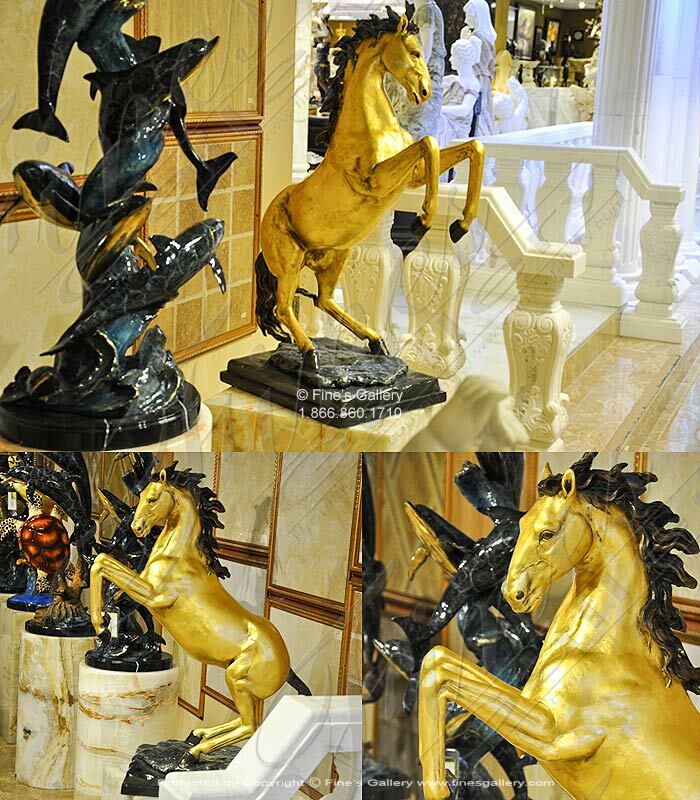 A mixture of artistically designed females, horses, lions and children adorn this unique Pedestal Fountain. Natural stone pool sold separately. 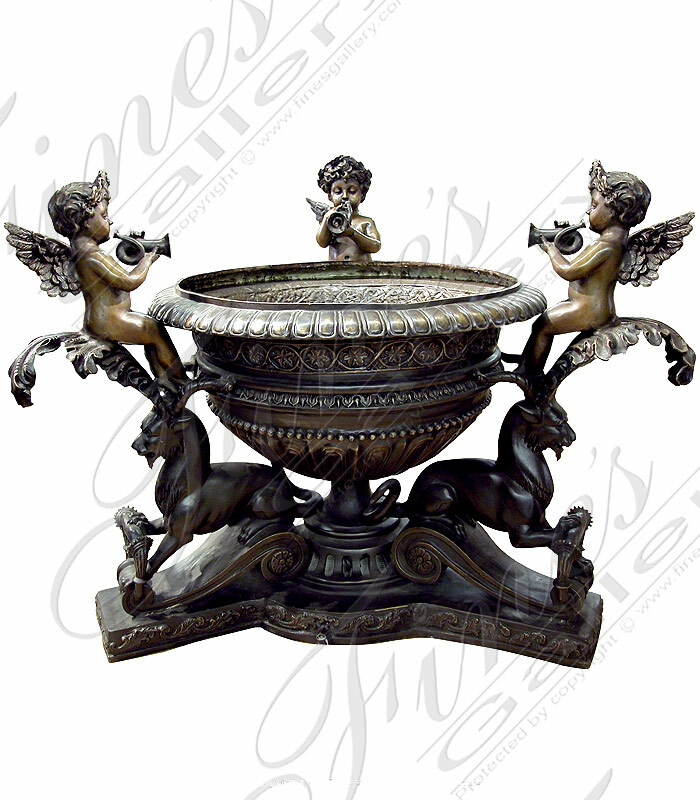 Water sprays from cherubs' trumpets as they sit round an ornately decorated bowl. Lions surround the base, resting on classic scrolls. 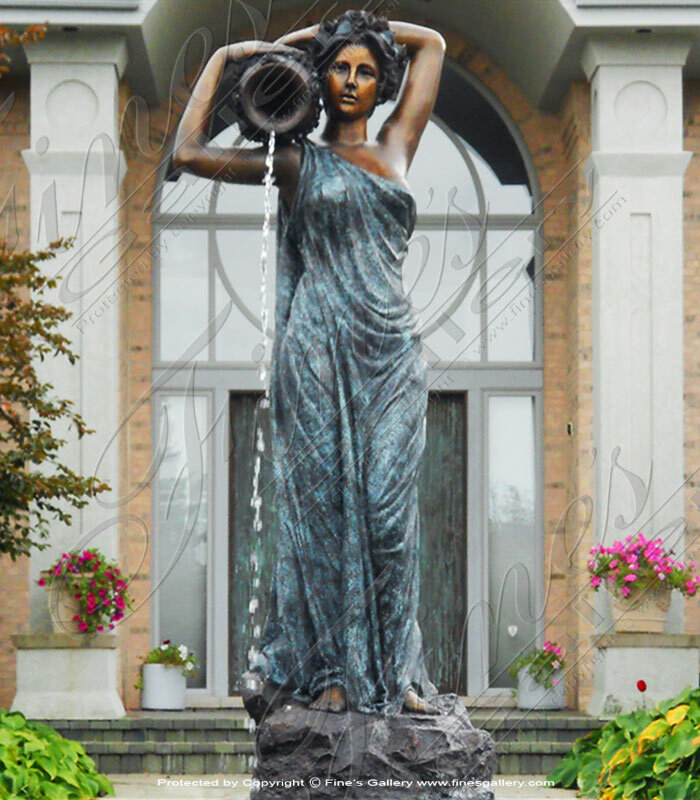 This specially cast bronze fountain makes a divine centerpiece. Enjoy by contacting us today! 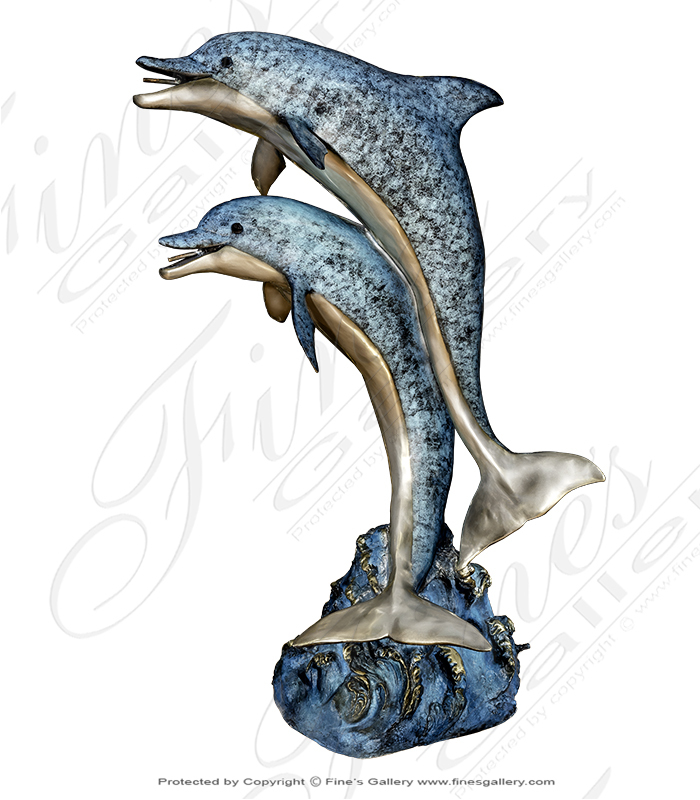 Two dolphins leap high into the air, replenishing the pool with two lavish streams of water from their open mouths. 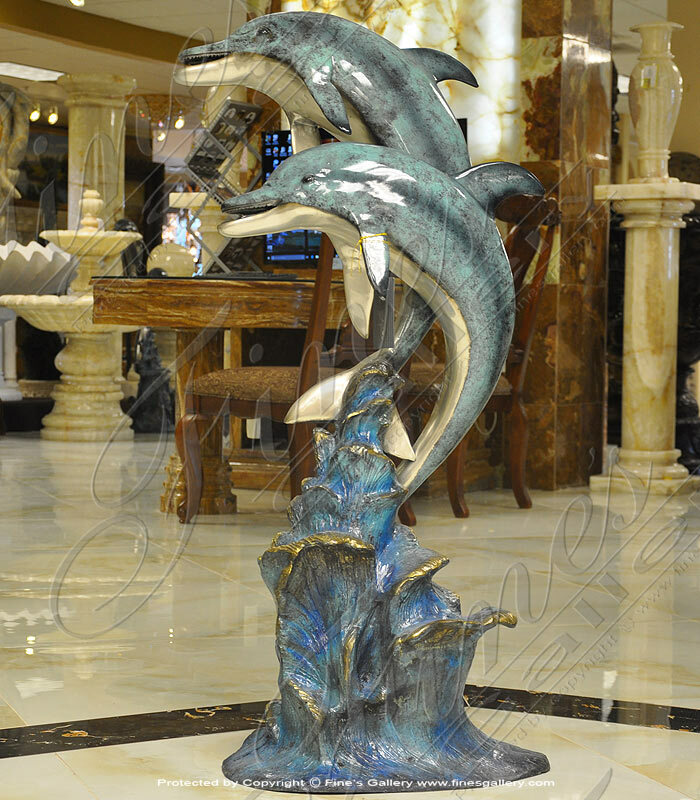 Made from brilliant blue bronze and displaying incredible realism, this fountain will become a lasting treasure.Contact our gallery today. 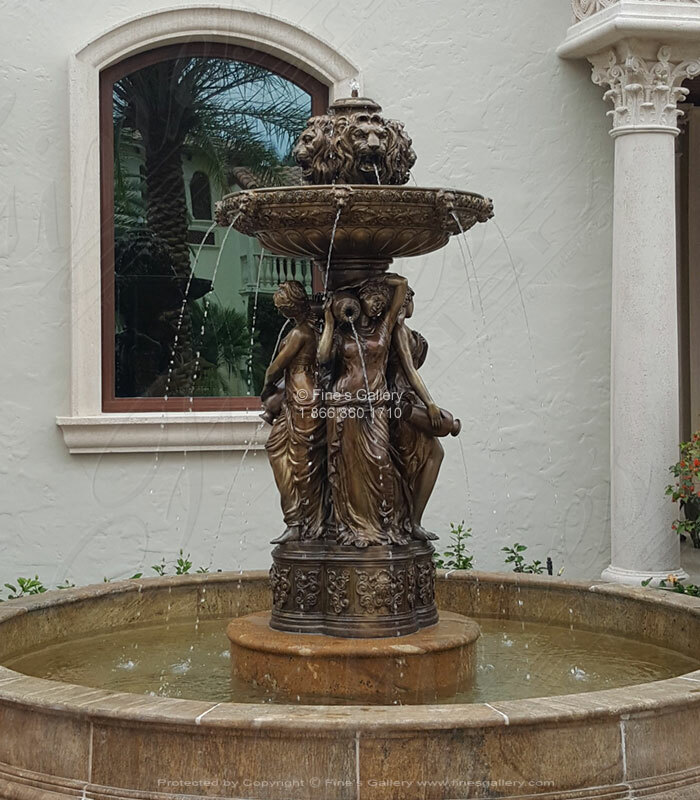 This bronze lion wall fountain will add excitement and drama to the surroundings! 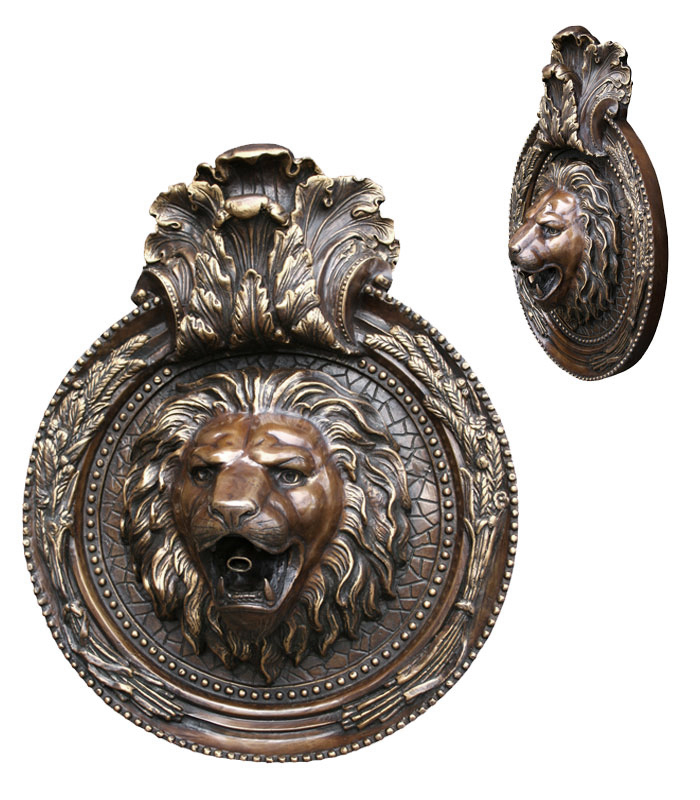 Made from dark bronze, it shows a fierce lion mask, surrounded by wheat and foliage decor. 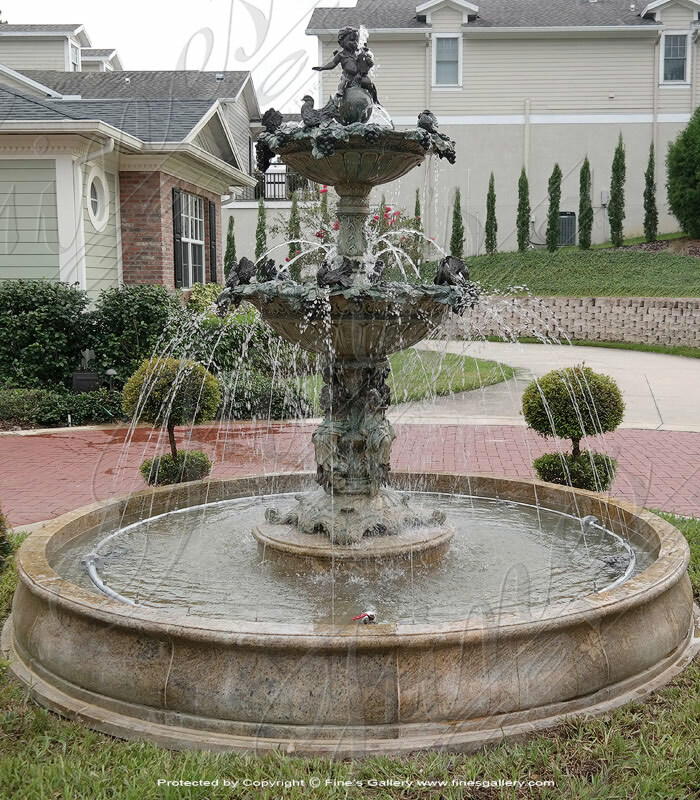 Water shoots from a fountain within the lions open mouth. 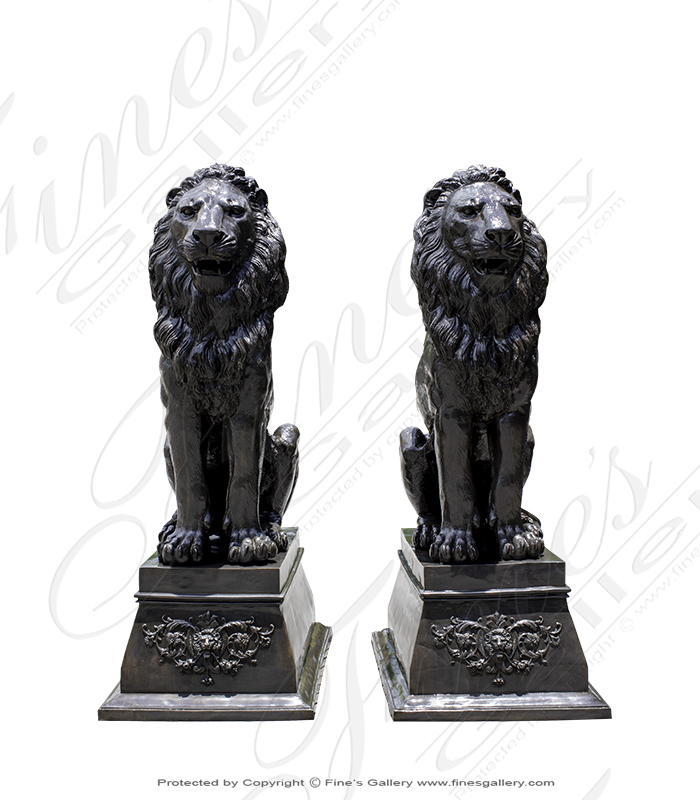 This Bronze Lion Wall Fountain is a luxurious and decadent accent for your outdoor decor. 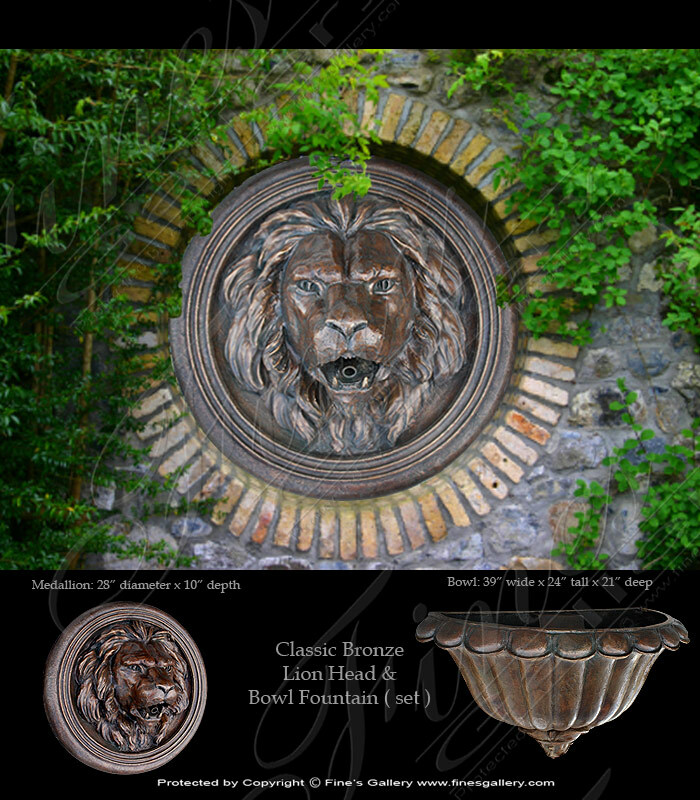 A regal lion head carved from dark bronze spurts a stream of water into a large scalloped basin below. Easily mountable to a structural wall. Call us today.